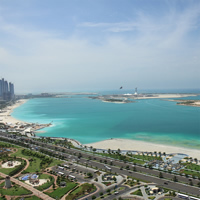 Abu Dhabi is the capital city of the UAE, one of the most modern, dynamic cities in the world. This spectacular T-shaped Island sits on the Persian Gulf connecting to the mainland by the Maqta and Musaffah bridges. The stunning skyline of the city is filled with skyscrapers, huge shopping malls, beaches and plenty of attractions. Stroll along the Corniche promenade and relax on the soft white sandy beaches, head out to Marina Island where you can travel back in time at the Heritage Village or shop at the Marina Mall, cruise to Yas Island and ride the fastest roller coaster in the world at Ferrari World. 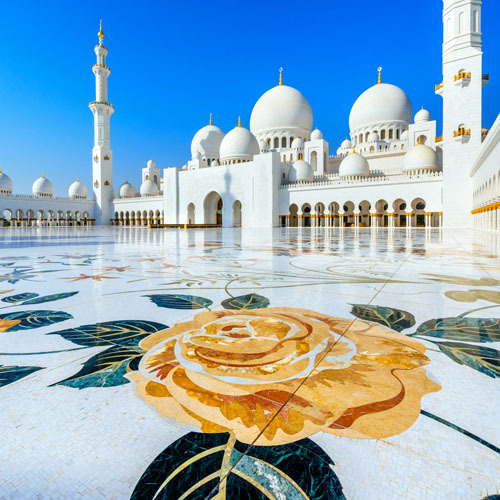 Visit the magnificent Sheikh Zayed Grand Mosque and marvel at its white marble façade and intricate interior décor, the city is filled with a mix of old and new with something for everyone to do. Perfect combination of super cities! Begin this incredible experience flying into Tel Aviv, often called 'the city that never stops', was the first modern Jewish city built in Israel, and is the country's economic and cultural center. It is a lively, active city with entertainment, culture and art, festivals, and a rich night life. Then escape to Amman, a city with a singular and bustling labyrinthine Downtown, where you can see their imposing Roman Theatre as well; definitely a must see while on this city. Up next is Dubai a luxury destination. Explore and visit Emirates Tower; The Jumeirah Mosque, the most photographed mosque in all of Dubai; Dubai Mall, the world's largest shopping mall; Burj Khalifa,a megatall skyscraper and tallest artificial structure in the world; Palm Deira, part a group of artificial islands; Burj Al Arab, the world's only 7 star Hotel. 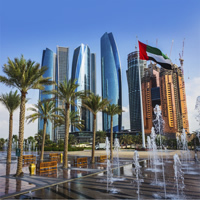 Last but not least is Abu Dhabi , the second most populous city of the United Arab Emirates. Visit the Sheikh Zayed Grand Mosque, Abu Dhabi's landmark attraction, then go to Heritage Village which is a pleasant place to wander about. 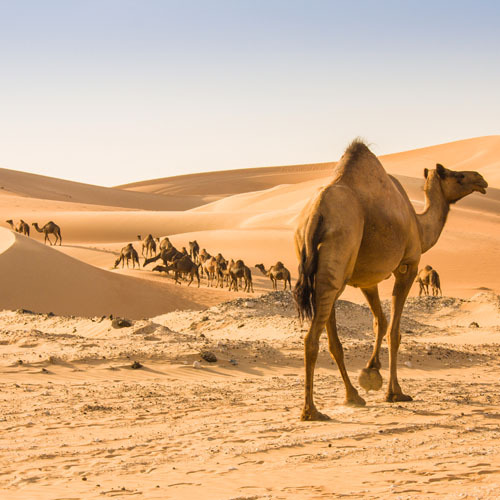 Other points of interest include Emirates Park Zoo and Yas Island, the perfect spot for spending the day sunbathing on. Amazing and mesmerizing destinations!. 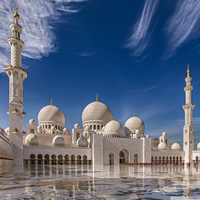 Enjoy Abu Dhabi, capital and the second largest city of the United Arab Emirates. It is a beautiful and modern city that never ceases to amaze outsiders with its beautiful parks, and fantastic beauty of its skyscrapers mansions. Visit the Sheikh Zayed Grand Mosque or go to Heritage Village which is a pleasant place to wander about. Vacations of a lifetime! Glamour, opulence and culture...all in one trip! Get dazzled by these cosmopolitan cities and meccas of culture, discover their traditional and ultramodern sides that will leave you speechless and wondered. First is Dubai, everywhere you look, you will be surrounded by luxury, architectural masterpieces, tradition and history. 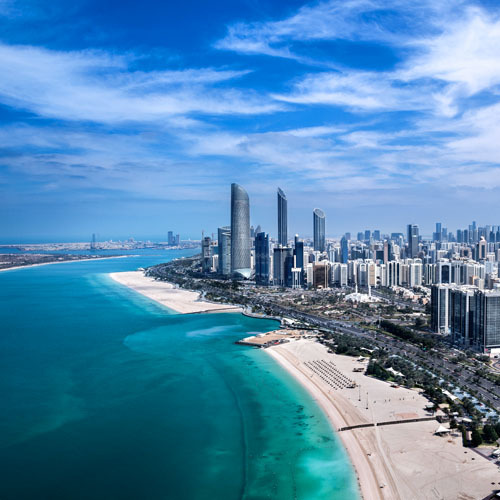 Next is Abu Dhabi, one of the world's richest cities and the perfect place to bask in lavishness and to take advantage of the innumerable opportunities for leisure. Last but not least is Doha, rich in heritage and culture, fantastic shopping and great beaches along the shoreline of the Persian Gulf. Feel the vibe of these enchanting cities and enrich every moment of your stay. Three top destinations to enjoy! Fly into the marvelous city of Mahe Island, the largest island of the Seychelles. Here visitors will find a wide range of beaches, such as Grande Anse Beach, the perfect spot for walking along the sand; Port Launay Beach, this breathtaking beach has a wide variety of colorful fish; Anse Source D'Argent, one of the most popular ones; Beau Vallon, a very safe swimming area; Anse Major, the best for snorkeling and swimming. Experience spectacular sunsets and amuse your stance here! Up next fly into Abu Dhabi, a magnificent city and visit really interesting places such as Al Khatem, a beautiful stretch of a desert offering driving experiences that leave you invigorated and wanting more; Al Bateen Beach, a stunning beach overlooks Hudariyat Island; Abu Dhabi International Marine Sports Club, club that supports a wide range of marine sports; TCA Abu Dhabi, the entity behind future and existing museums in the city; Sheikh Zayed Mosque, country's grand mosque which has many special and unique elements; Burj Khalifa, a megatall skyscraper which and tallest artificial structure in the world. Last but not least, fly to Mumbai, an interesting and traditional city and visit really interesting places such as the Elephanta Island, a UNESCO world heritage; The Hutatma Chawk, area with a large concentration of impressive historical buildings; Haji Ali Dargah, one of India’s most famous and prestigious landmarks; Red Fort, which was the residence of the Mughal emperor for 200 years; Gandhi House, a museum dedicated to Mahatma Gandhi and site of his cremation. I cannot thank you enough for your excellent service, great Hotels, Airlines great too.